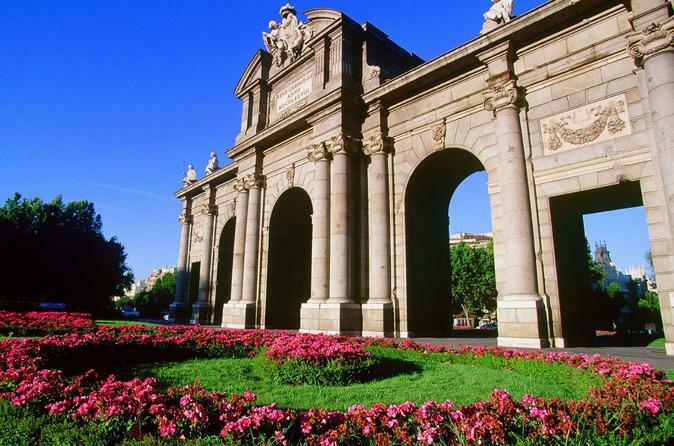 After having breakfast at the hotel, enjoy a morning city tour; discover the Medieval origins of the city at Barrio de la Moreria and stroll by the most important landmarks and monuments of the city centre such as the Royal Palace (entrance included), Puerta del Sol, Plaza Mayor and Plaza de la Villa. Afternoon will be at your leisure. Breakfast at the hotel. 8:30am pick up from your hotel and departure drive southward along the land of Don Quixote, passing vast vineyards. Cross through the natural border of “Despeñaperros” and get into Andalucía, a region for itself that shows an enormous heritage from a splendorous past. Tour Cordoba, its mosque, and other sites that will ease your mind and spirit strolling through its narrow winding streets of the Jewish Quarter. Continue to Seville for dinner and your accommodation. After breakfast, enjoy a morning tour of the beautiful city of Seville, including the cathedral, Santa Cruz quarter and Maria Luisa Gardens. Afternoon at your leisure: discover exclusive views, specific flavours of this active full of light city. Dinner and accommodation at the hotel. Breakfast at the hotel, drive east through the Caliphate road to the heart of Andalucia, observing olive trees on the way to Granada and its incredible environment towards the last stronghold of the Moorish Kingdoms in 1492. Visit the world famous Alhambra . Dinner and accommodation at the hotel. Breakfast at the hotel and tour concluded. The hotels detailed are as a reference only and are subject to change.